Bitters &amp; Spiced Grilled Ribs featuring Angostura Aromatic Bitters. Take guests from cocktails to dessert with the classic Trinidadian export in the dashing little bottle. Labor Day may not be the official end of summer, but with kids headed back to school and the sun setting a little bit earlier every day, it sure feels like it. But before you pack away the shorts and tees and start pulling out those jeans and sweaters, celebrate with one final toast to the season. And just to keep guests talking long after the weekend is over, serve elevated barbecue fare with a surprise secret ingredient: bitters. What’s that? Yup, Angostura may seem more at home in a Manhattan than slathered on ribs, but hear us out. Similarly to how they boost flavor and dimension in cocktails, bitters have an uncanny knack for making your dishes taste very complex. But since we’re all trying to soak up the last rays and revel in those lazy days of summer, a backyard party with Angostura will only taste like it took a long time to prepare. Glean tips for using bitters in the kitchen, then set up that picnic table and fire up the grill. Why use bitters in cooking? What do Angostura Bitters add to dishes? In what dishes do Angostura Aromatic Bitters work best? Proteins: add it to gravies, meatballs, black bean chili or beef stew. Condiments: Jazz up ketchup, barbecue sauce, baked beans, tomato-based pasta sauces, cocktail sauce, hummus or mayonnaise. Grains: Add it to biscuit and cornbread batter. Desserts: Use it in chocolate sauces, brownies, chocolate chip cookies, crème caramel, chocolate panna cotta or peanut brittle. Since they are made with orange peel, herbs and spices, they aren’t quite as potent as Angostura’s aromatic variety, and are great with lighter fare. 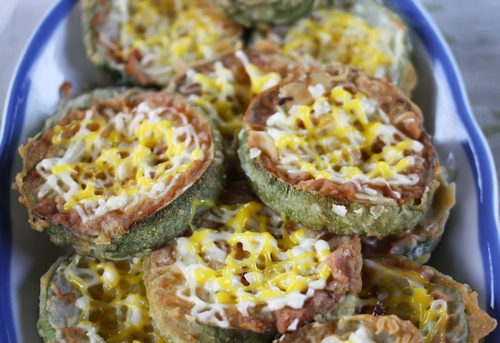 Try them in breakfast or dessert dishes, too. Swirl into honey, then drizzle on bleu cheese crostini. Stir into yogurt along with honey, then serve over fruit. Add a teaspoon to a half-cup of maple syrup and pour over pancakes or waffles. Add two teaspoons to canned pumpkin for pumpkin pie. 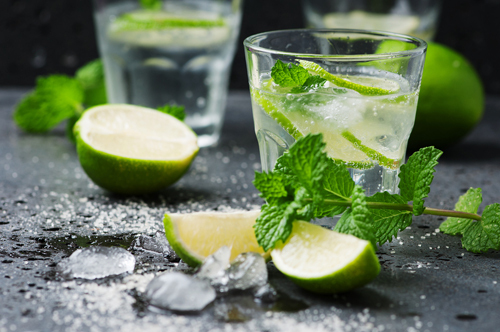 This twist on the classic Gimlet from the 1960s uses a few dashes of bitters, which make it decidedly more complex and tempers the acidity of the lime juice. “It is a perfect demonstration of the idea that you can fundamentally change a cocktail with the simple addition of...bitters,” says David Delaney, Jr., House of Angostura brand ambassador. Add all ingredients except garnish to a blender, and pulse to achieve desired consistency. Pour blended mix into rocks glasses, and garnish with mint or basil. Held knew that since bitters work well with ketchup and baked beans, a bitters barbecue sauce would be perfect. Feel free to adjust the amount of ancho and chipotle chilies depending on your tolerance for heat. Drizzle bitters over spice mixture, stir to combine, and rub over meaty side of ribs. Preheat grill to medium, and arrange coals or gas burners so ribs cook over indirect heat, cover, and cook ribs 30 minutes. 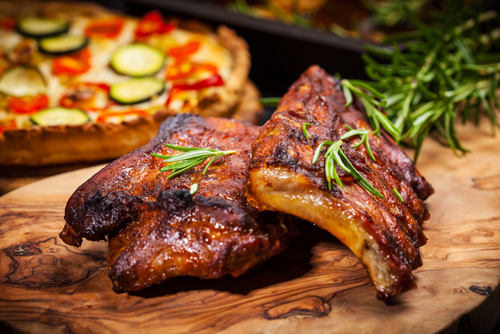 Baste ribs with half of the barbecue sauce, reserving the rest; cover and cook 15 minutes more. Turn ribs over and brush underside with sauce. Cover and cook 15 minutes more or until cooked through. Brush with reserved sauce before removing the ribs from the grill. Combine 2 Tbsp. ground ancho chilies, 1 rounded tsp. brown sugar, 1 tsp. garlic powder, 1 tsp. onion powder, 1 tsp. ground cumin and ½ tsp. ground chipotle chiles, stirring to break up clumps. Combine 1 8 oz. can tomato sauce, ¼ cup packed brown sugar, 1 Tbsp. Angostura Aromatic Bitters, 1 Tbsp. ground ancho chiles, 1 tsp. ground chipotle chiles (optional), 1 tsp. garlic powder and ½ tsp. ground cumin. 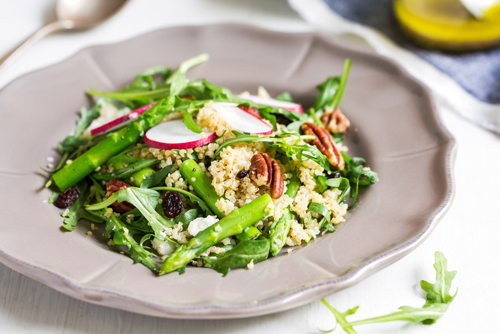 “Salads are so summertime, especially those that use quinoa and arugula,” says Held. A few drops of orange bitters – which aren’t quite as intense or bitter as their Aromatic cousin – add zest. Stir together rice vinegar, oil, bitters, salt and pepper. In a large bowl, stir together quinoa, feta, basil, mint and green onion. Add tomatoes and arugula, drizzle with dressing, and toss to coat. Sprinkle with additional seasonal rice vinegar to taste, if desired. Any combination of vegetables will work for this dish, and you can prep them in advance and serve them warm or at room temperature. Use leftover mayonnaise on sandwiches or for salad dressing, thinned with a little more oil and vinegar if you wish. Rinse and drain vegetables, remove woody stalks from asparagus, and trim green beans. Whisk together olive oil, soy sauce, lemon juice and bitters. Brush liberally on vegetables and let stand 15 minutes. Heat a large iron fry pan over medium heat, cook vegetables in a single layer for 5 minutes or until lightly browned. Turn and cook 3-5 minutes more or until tender (Alternately, grill vegetables until lightly browned.) Drizzle slightly warmed mayonnaise over vegetables, and serve. Whisk together ½ cup mayonnaise, 2 Tbsp. grated Pecorino Romano or parmesan cheese, 1 tbsp. fresh lemon juice, 1 tsp. grated lemon peel and ½ to 1 tsp. Angostura Aromatic Bitters. Grown-up popsicles? Yes, please! The key to these boozy frozen treats is the irresistible combination of aged rum, orange bitters and fresh fruit. Experiment with other combinations, including pineapple and coconut, and papaya and guava. You can purchase Zipzicle bags on Amazon. Combine rum and bitters and set aside. Place diced mango in blender, add half the rum mixture, cover, and blend until smooth. Pour into a pitcher with a spout, and repeat with the pineapple and remaining rum mix. Add to pureed mango, stirring well. Open ice pop bags. Using a funnel, fill bags one at a time, stopping at the fill line. Seal bags, place upright in a tall container, and freeze for 2 to 3 hours or until frozen. 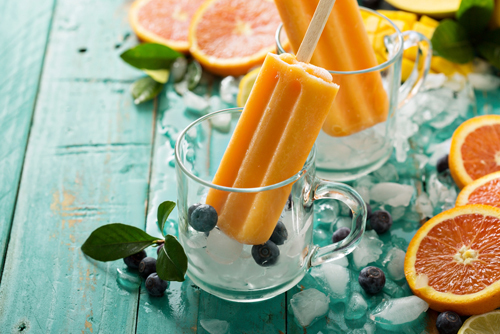 To serve, place frozen pops with ice in an ice bucket or cooler.